Windows give our homes light, warmth, and ventilation, however they can likewise adversely affect a home’s energy effectiveness. You can lessen energy takes by installing solar film on your windows in your home. If you are on a tight budget, energy efficient enhancements to existing windows can help you out in the long run and reduce your heating and cooling costs. Window tinting is a cost effective way to reduce power consumption in your home or business. 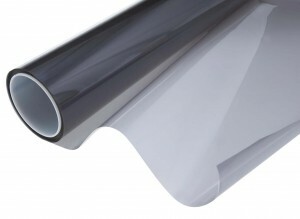 The solar film acts as a barrier on your windows, reducing the amount of solar heat allowed in. Window film will boost the energy performance of your windows. Audits on buildings have estimated that windows fitted with solar film can result in an annual saving of around 15% on electricity bills and should pay for itself in under 3 years and continue to save you money thereafter. 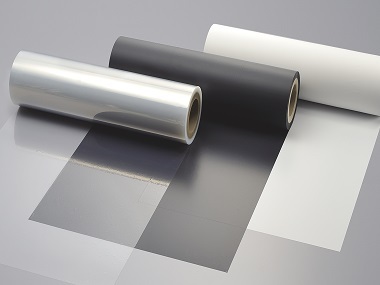 How Does Solar Film Reduce Power Consumption? Having your temperature dropped by only a few degrees can result in a 25% cooling cost reduction in your home or business. Once a room is heated up it requires a large amount of energy to remove this heat with an air conditioning unit. By having your windows tinted you can reduce peak summer time loads or even install a small air conditioning unit. What Other Benefits Do You Receive From Window Tinting? Window tinting has many benefits besides just blocking out solar heat and reducing power consumption. Solar films will reduce the uv rays from the sun that enter your windows by 99%. Ultra violet rays cause a lot of damage in homes and buildings. The damages from these rays are made apparent in the fading of you household furniture, carpets and wooden floors also get damaged badly over time as well as fabrics like curtains. They are also used to prevent smash and grab attacks while in your vehicle. Will Window Tinting Reduce Glare? Everyone enjoys a great view out of their windows whether it’s at the office or at home. Most of the time the glare that comes through the windows can be very distracting and harmful to you. In office environments where people are trying to concentrate, glare can be very distracting and cause headaches. This can slow down the productivity in your office and make it uncomfortable for everyone. The larger the windows in your office the more solar heat and glare will affect your employees, and the more pressure and strain your air conditioning units will have to deal with. Glare is a horrible thing, it can cause eyestrain and even make people fatigued. At certain times of the day the glare will be increased and it’s almost impossible to be productive without having the proper window tinting installed. Improve the functionality of your windows by have solar film installed. By having your windows tinted with solar film and your roof insulated with ceiling insulation (preferably fiberglass insulation or polyester insulation), fiberglass insulation can reduce up to 35% of the heat that comes through your roof. Your home or office will be energy efficient. You will notice drastic improvements on power usage. Heat generally enters a building from two sides, the roof and the windows. If you can block the solar heat out of these two places you will very seldom need to run an air conditioner or heater to keep your building at a comfortable temperature for everyone. Keeping you cooler in summer and warmer in winter.